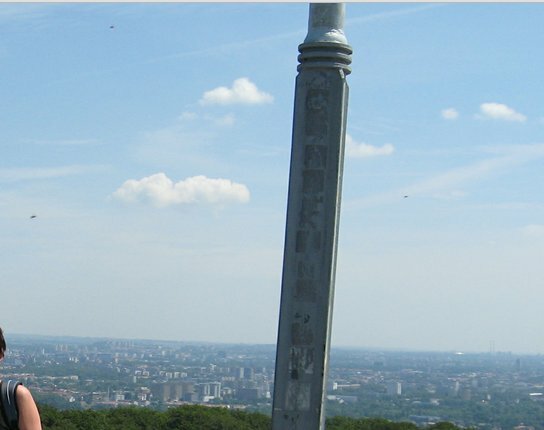 A highly interesting UFO photo sent in by a reader, and taken over Krakow, Poland in June 2009. The person is actually unsure what the objects seen in triangle formation could be. If anyone has any clues, please reply to this post. Birds do fly in 'V'formation but these objects do not look like birds, right? Poster comments: A photo which was taken 2 years a go in Poland when I was with my Girlfriend on holiday. This Photo was taken by her father with her mother in the photo. We were not there at the time as we were at the zoo. As you can see in the photo there seems to be Three strange objects in sky. can be seen, with a cloud like patten around them,in a square like boarder of blue sky.not birds as I see it! The only Birds that Fly in V-Formation that i have heard of are Geese,but they Fly in very close formation,the fact they are in V-Formation does'nt mean anything either,they look more like they are just spread out,but too far away to tell what they are. From what point of view in Krakow?